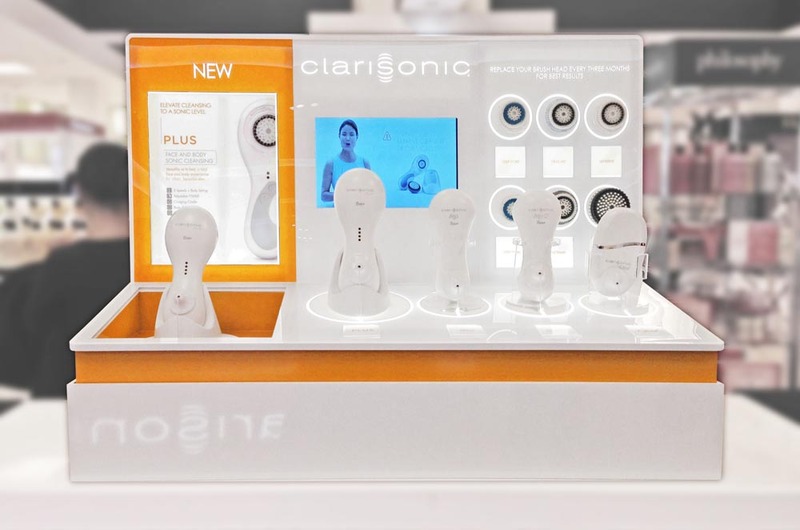 Building upon Clarisonic’s strong brand equities, Array designed and developed this engaging, interactive and educational counter tester for use in the department stores. Custom docking stations for each of the implements allow for easy testing and charging. 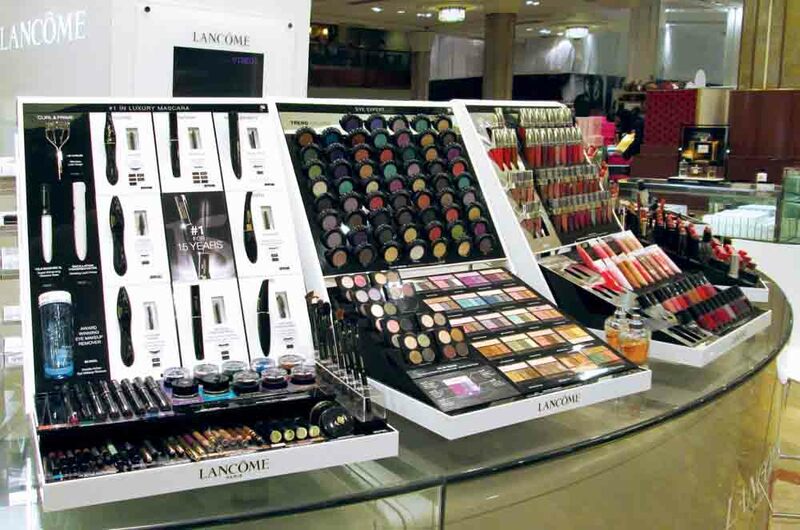 Array developed these modular Major Tester Units to help showcase Lancôme’s complete line of color cosmetics. Easily updateable cassettes allow for quick change outs and the neutral black and white palette helps the eye focus on the variety of available colors. The quality of its construction speaks to the high standards of the Lancôme brand. 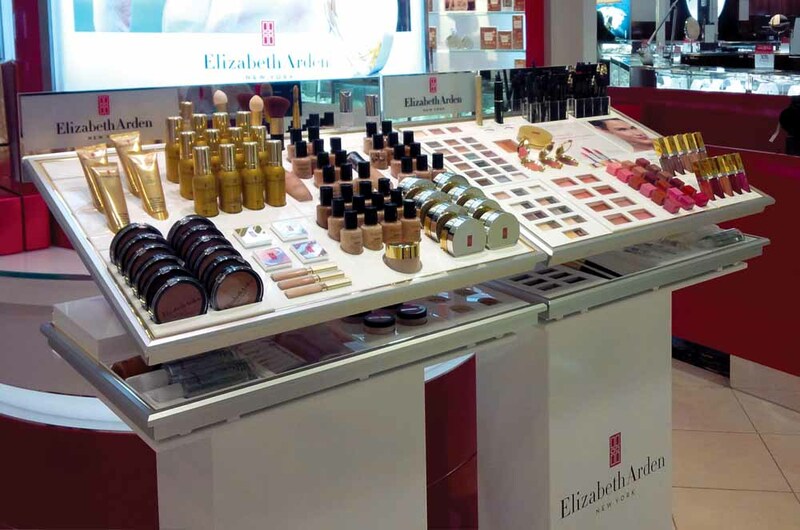 Using select elements from Elizabeth Arden’s Global Rebranding standards, Array designed & developed these new modular master tester units. The use of brushed aluminum extrusions, molded modules and gold accent trimming not only defined & enhanced the new look, but allowed for efficient mass production. 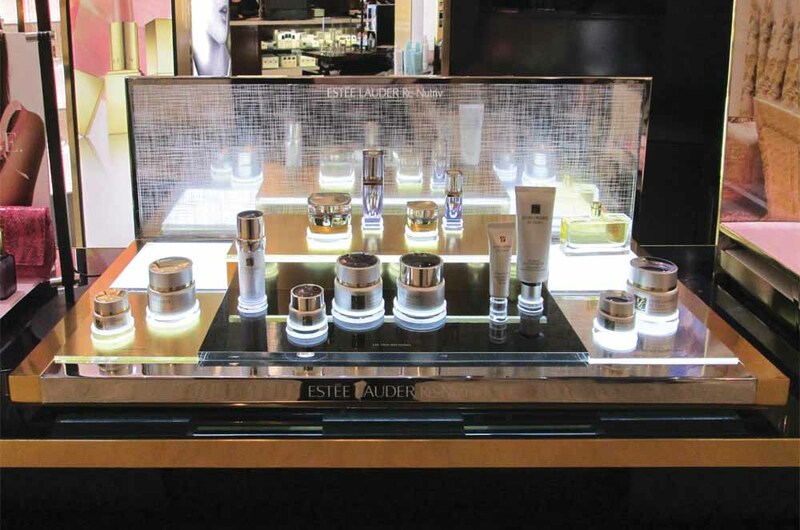 This elegant custom tester unit was developed and produced by Array exclusively for Estée Lauder’s Re-Nutriv presentation in Saks, NYC. With the aid of edge-lit LED lighting the screen-printed pattern on the back riser appears to be etched. Additional illumination within the base creates a ‘halo’ effect around each tester product enhancing the presentation. Metallic gold framing and mirrored surfaces add to the sophisticated and luxurious feel of the unit. 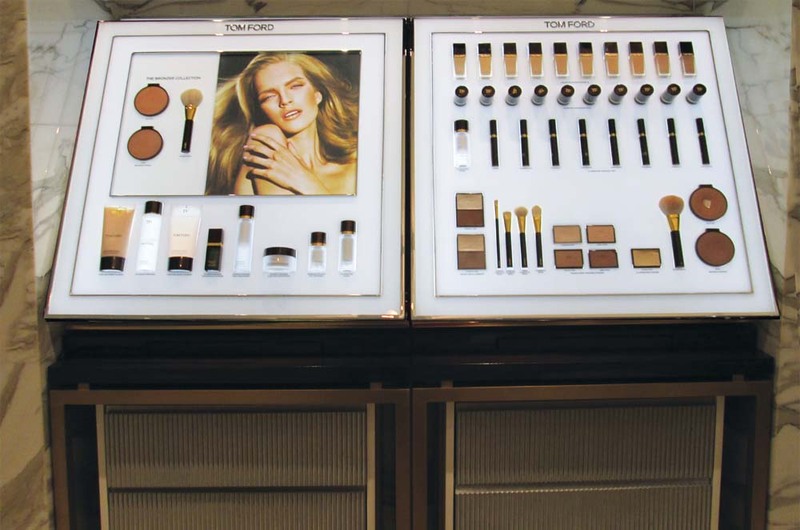 Array designed, developed and produced this sleek, slim-line tester unit for Shiseido. 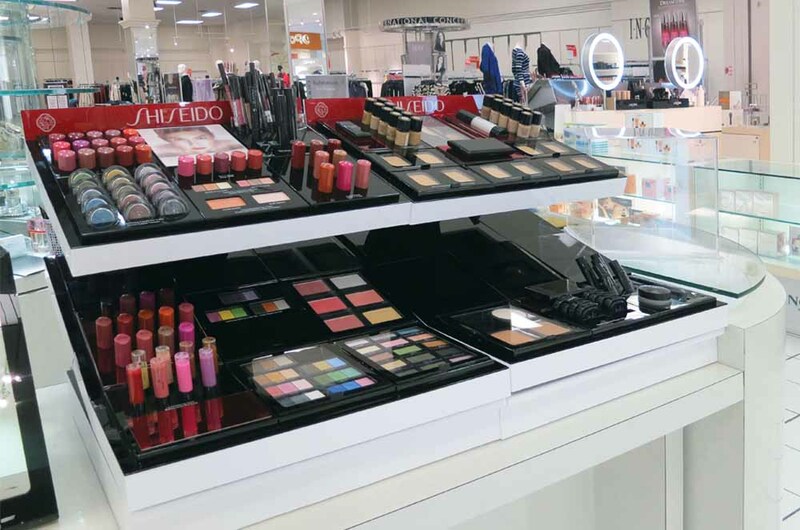 With an innovative pull-out base, easily updateable modular cassette system and custom acrylic features, Shiseido’s full offering of cosmetics is organized and easily navigated for testing. Tom Ford worked with Array to realize their design vision for a clean, luxurious backlit tester presentation. Details like laser-cut logos, chrome accents and a textured plated metal base helped define the look and feel of these prestigious units.